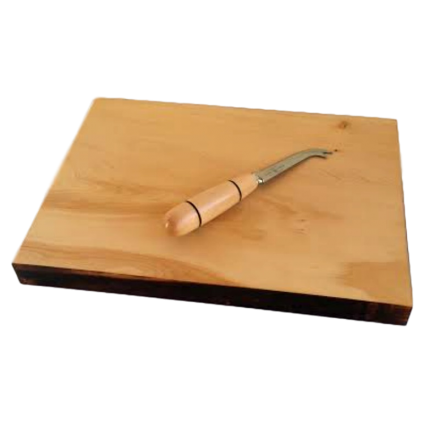 A versatile cheese or breadboard crafted from Tasmania's unique salvaged Huon Pine. Features a blackened edge for effect. Small cheese knife is includedwith a hand turned Huon Pine handle. Please note no two boards will be the same due to the unique grain of the timber.